Digital 328 represents a revolution in low cost professional audio, bringing all the functionality and sonic excellence of digital mixing to a brand new audience, with its unique console based interface, 328 finally bridges the gap between analogue and digital mixers, retaining the spontaneity and ease of use of an analogue console yet providing all the advantages of digital, such as instant total recall or all digital parameters, moving fader automation and onboard Lexicon effects. Although other digital mixers offer an amazing array of functions, it can often be a nightmare to access them. In contrast we've designed the Digital 328 to operate like your old analogue 8-bus console and not like a computer with faders, so that you can take it out of its box and get started without even opening the manual. Unlike other digital mixers, there's instant access to any channel, group or master feature with one button press, and you can see that feature's status from the front panel without having to rely on an LCD display. The key to it all is the 328's unique "E-strip", the lighter-coloured bank of encoders and switches that runs across the centre of the console. 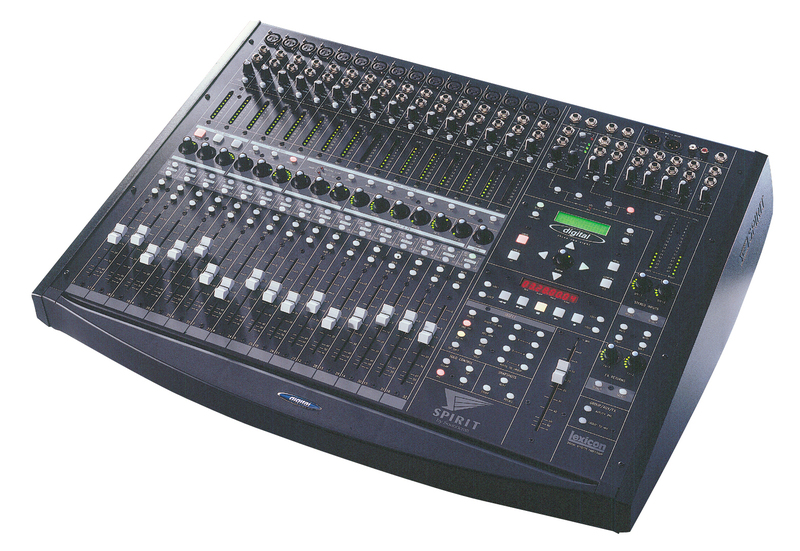 In order to interface easily with a wide variety of audio systems, a digital mixer needs both digital and analogue audio connections. In the case of the Digital 328, digital multitracks and multi-channel PC-based digital audio systems (including ADAT™, Tascam DA Series machines, Pro Tools, Cubase VST, Desk etc) can be connected via its TDIF™ and ADAT™ optical connections. There are two sets of 8-channel ins and outs using these formats, giving you up to 16 channels of digital I/O for group outputs and tape returns. In addition to these, both AES/EBU and SPDIF interfaces are supported for stereo inputs and outputs.